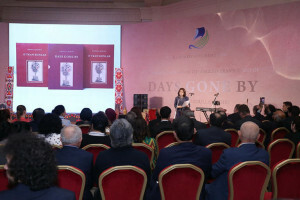 The book launch for the English translation of “Days Gone By” – the novel by Abdulla Qadiri – has been held in Tashkent. “Days Gone By” is a seminal work that saw the birth of the Uzbek school of realism and which has become an integral part of the Uzbek people’s soul and national identity. The launch was timed to coincide with what would have been the 81st birthday of Islam Karimov, founder of the independent Republic of Uzbekistan. The event was also an opportunity to pay tribute to the memory of some of the finest Uzbek minds, members of the Jadid intellectual movement – Abdulla Qadiri, Abdulhamid Cholpan, Abdurrauf Fitrat, Munavvar Qori, Xudoybergen Devonov, Avloni, Behbudiy and many others. 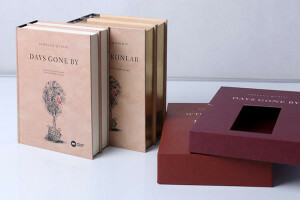 The project to publish the English translation of “Days Gone By” was realized by the Karimov Foundation. The translation was prepared by Carol Ermakova and edited by Julie Wickenden. With the support of the Karimov Foundation, this deluxe hardback edition was published by French publishing house Nouveau Monde Editions and includes specially-commissioned illustrations by the renowned Uzbek artist Bobur Ismailov. “This year is the International Year of Indigenous Languages, which we are already celebrating with this book. Through its translation, we are bringing the spirit of the Uzbek language into other cultures and hearts,” said Pilar Alvarez-Laso, head of the UNESCO Office in Uzbekistan, speaking at the book launch. It has been a great honour for us to translate this beautiful novel into the English language. We would like to express our appreciation and support for the efforts of other experts engaged in translating and publishing the works of Abdulla Qadiri. It is worth noting that nearly 100 years after the book was written, “Days Gone By” has been translated into English almost simultaneously by British and American translators. This represents an important step in the development of Uzbek literature and in its introduction to the international community. 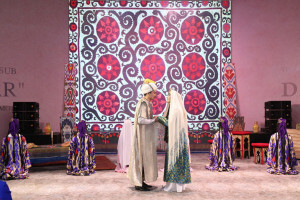 Uzbek literature is rich in talented authors and it is our profound belief that their voices should be heard in different languages throughout the world.